Searching for “used car dealer near me,” in Long Beach, Torrance, or Fullerton, CA? If so, Cerritos INFINITI is your one-stop resource! With our extensive selection of gently used vehicles, personalized used car financing resources, and seasoned automotive pros on staff, you have everything you need to buy a car in your budget and close to your home. Find out more about the used car services we provide in your area below. 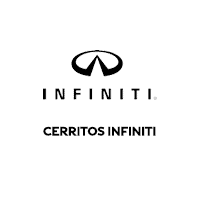 Cerritos INFINITI carries a vast selection of pre-owned and certified pre-owned sedans, crossovers, and SUVs. All the vehicles in our used car inventory are carefully selected for their age and condition. Something we truly take pride in is giving you an impressive variety of like-new vehicles to shop from that don’t have an accompanying new car price tag. Whether you’re looking for a refined family ride or a sports car that’ll turn heads, we have the vehicle for you! Some of our pre-owned cars are low on mileage, well-maintained, virtually new rides that served as routine loaner cars for our service center customers. Before our dealership’s hometown became an LA suburb, there were numerous dairy farms in the area. While many of them have transitioned over the years into beautiful suburban neighborhoods, the spirit of hard work and making sound choices has stuck around. Buying a quality used car is a sound financial investment. In our dedicated financing department, Cerritos INFINITI’s patient and proven finance team is ready to reward you by helping you save where you can with a custom used car financing plan. Are you also searching for “used car service near me”? Cerritos INFINITI’s top-notch service center is ready to get your vehicle fixed and back on the road as soon as possible. Older cars don’t scare our well-seasoned and certified technicians. Count on them for oil changes, part replacements, inner engine work, and more for vehicles new and used. Cerritos INFINITI is your local used car dealer in Cerritos, CA, located a quick drive from the Long Beach, Torrance, and Fullerton areas. To get acquainted with all the areas we serve, check out the linked articles below. And when you’re ready to start your next used car shopping journey, schedule your test drive with us at 10901 East 183rd St in Cerritos!